We offer events that are on Spiritual, Metaphysical, Psychic, Healing, and Wellness topics. Come check out Spiritual Spectra’s New Office! 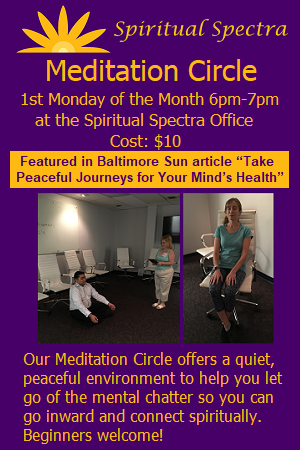 Join us for an Open House & Networking Event on Tuesday, May 1, 2018 from 5-8pm at the Spiritual Spectra Office 5457 Twin Knolls Road Suite 300 Columbia, MD 21045.